It’s not dumb luck that I happened to pick up two travel memoirs to review this week. Whenever I have the opportunity to travel overseas, I find I get a renewed interest in how other people tackle living abroad. One of my best friends is just about the greatest ex-pat I know (she’s lived in Japan, England, New Zealand, and Australia, and she tells me her next country is Argentina. Or possibly Germany. Unless she can get on that Antarctica team she’s looking into…). She has no problem learning other languages, and she eats just about anything (except shellfish). She has friends in what seems like every country in the world, and she has discovered the perfect balance between planning her trips and allowing them to unfold into spontaneous adventures. Whenever I come to visit, she morphs into the perfect tour guide, providing me with a wealth of information, as well as experiences I probably wouldn’t tackle on my own (like those bath houses in Japan – let me tell you, four naked white girls can clear a room in under a minute). Although I have no driving desire of my own to uproot to a new country every few years, I hold her up as a gold standard of adaptability and good humor when it comes to the ex-pat life style. This means I’m probably a little harder than I need to be on authors like Brown-Waite. 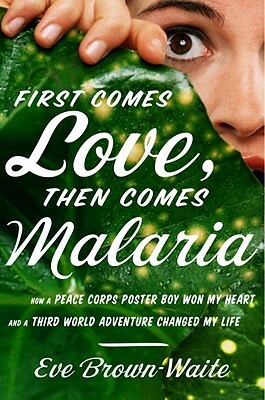 She writes an excellent account of her foray into the peace corps (although I prefer the second half, when she’s living in Africa). The book is witty and charming – she’s a delightful writer, and I would happily search out another book by her because I so enjoyed her style. The only problem was that I had very little sympathy for her, and the book does, to some extent, depend upon that. Just check out the title. It’s a mouthful. It communicated quite a lot to me about her as a person before I even bought the book, and I’ll be honest, it’s what made me pick up the book in the first place. I love the title. I love the premise. It’s just about the exact opposite image of a woman abroad that my friend embodies; instead, it’s sort of…me. Don’t get me wrong, I’d rather be like my friend – independent, intrepid, relaxed – but we can only change who we are so much. In truth, what bothered me reading this book bothered me because Brown-Waite is so very much like me, and there are no faults we hate to see in others so much as our own. Pride, stubbornness, a desire to eat first world food while living in a third world country – me, me, and “I can’t help it if my body refuses to digest dairy and most meats” me. We even share a similar sense of humor, which is probably why I enjoyed the book so much, despite the fact that part of me kept telling her to shut up and try to blend already! The best characteristic she displays (and I’m biased because I feel it’s one of my best too) is that she perseveres. She wants to be better than she is, so even when I was reddening in shame on her behalf (knowing I would have surely made the exact same mistake given the opportunity), I was proud that she kept trying. Some people seem to be born ready to assimilate anywhere, but for the rest of us, it’s good to have people around like Eve Waite-Brown, willing to both make the mistakes and then share them with the rest of us. To find out more about Eve Brown-Waite, go here.